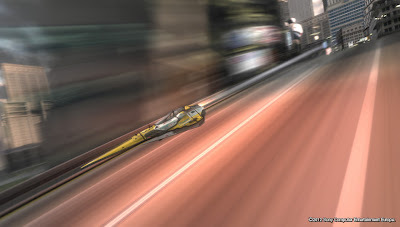 No one was aware at the time, but the launch of WipEout 2048 marked the end of an era. SCE Studio Liverpool was a developer that defined the ethos of the Playstation brand in Europe with the launch of the original WipEout back in 1995. This was a stylish and futuristic game for a new console that was aimed, not at kids, but everyone. It had a soundtrack featuring the songs that people were dancing to at clubs on Friday nights. It had high speed flying ships with realistic physics. It had a beautiful front-end designed by The Design Republic, who were making covers for albums by Aphex Twin, Autechre and Pulp. It was a statement saying "Video games are cool and they are the future, right now." 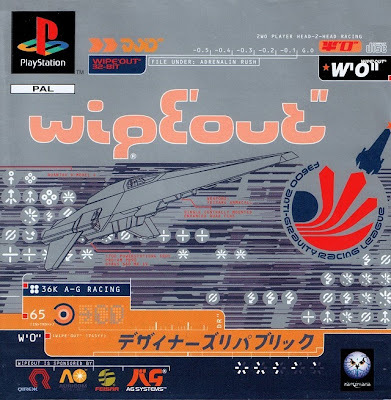 Since then, WipEout has become synonymous with Playstation, and Psygnosis was bought by Sony and re-named SCE Studio Liverpool. The franchise has always been at the bleeding edge technologically, while not sacrificing amazing gameplay. 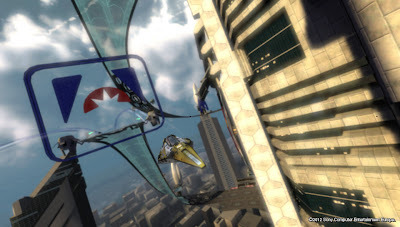 It showed off what the PSP was capable of at launch with WipEout Pure. WipEout Pulse took those foundations and improved upon them, delivering a stellar sequel. WipEout HD is still one of the few games to fulfill the original promise of 1080p at 60fps on PS3 and was a PSN game that made retail releases look lacking. Which brings us to WipEout 2048, which is now sadly the last game made by the developer. Has the Studio kept its reputation for getting the most out of Sony's hardware? Somewhat ironically, this is chronologically the first game in the series. Set in the year 2048, it is the first Anti-Gravity Racing Championship (AGRC). Being set this early, the city that holds the tracks looks a bit more familiar. You will see some classical buildings as you race around the lower street levels. You will even find yourself gliding through a park! The higher levels give way to some of the more sci-fi inspired architecture the series is famous for. While technically marvelous, being set earlier means the game doesn't look as smooth or clean as previous games in the series. There is an abundance of visual clutter around you: adverts, trees, spectators, buildings, floats and more. It can get distracting and cause a few missed turns. It took me longer to learn some of these courses than those in WipEout HD, for example. I prefer the more futuristic style of old, but I can't deny that the developer has done it again when it comes to the visuals. This game is a technical feast. The controls are great; the Vita's analogue sticks are responsive and reliable. It certainly feels like the WipEout we know and love, while also serving as a good entry point for newcomers. The courses are also a bit wider which helps as well. Speaking of the courses, they are nicely varied. As the campaign progresses through three years, more are made available. I had a blast ducking under bridges in Metro Park, trying to find shortcuts to the higher level in Subway and taking an extremely fast trip though Queens Mall. There are 10 overall, which isn't much really, but they are all solid. My two favourites would have to be Downtown and Sol. Downtown's first few corners take place in a Baroque palazzo, then lead up to a beautiful evening skyline and back down again into an eclectic mishmash of buildings. The majestic Sol is only available in the final third of the campaign, AGRC 2050 and boy is it worth the wait. 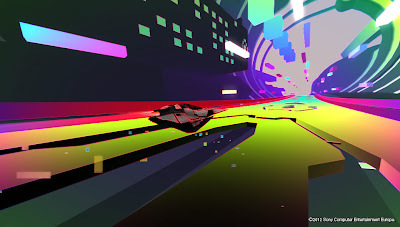 Being one of the "newest" courses in the game, it closely resembles that classic WipEout minimalist track design. It takes place high up in the sky and features daring jumps and turns with no walls keeping you safe! It also looks breathtakingly beautiful. There are a variety of different events: Race, Combat, Time Trial, Speed Lap and Zone. For each event you can Pass or earn an Elite Pass, gaining you more points. Races are always fun. Seasoned players will find weapons more useful without taking the emphasis away from driving. Time Trial needs no explanation, I found trying to get the Elite Pass times compelling. 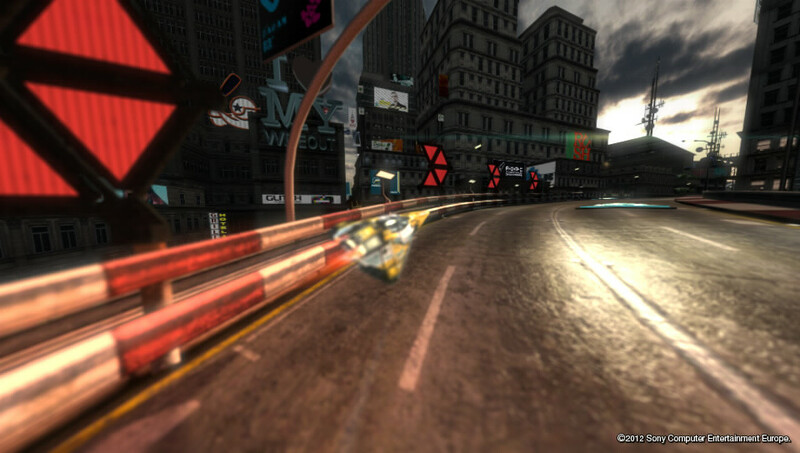 Speed Laps are separated from the campaign and are a test against yourself. A ghost is saved of your fastest run so that you can see where you need to improve. Combat has seen the most changes. Previously titled Eliminator, it is now simply a full-on onslaught. Keep on destroying ships with your weapons to accumulate points in the allotted time. There are no points awarded for racing, so I would recommend using whichever ship has the best firepower. The wider courses have allowed for a much more engaging experience in this mode. I used to hate Eliminator, but now the Combat events are some of the best in this game. They also highlight the attention to detail the developer has put into the special effects, particularly some awesome particles on the missile. Zone is my favourite event. It involves racing around the track for as long as you can while your ship gets progressively faster. You have to survive for as many "zones," or segments of track, as possible. What makes Zone a particular highlight is the neon-abstract filter it puts over the game. Bright colours that morph and change while you complete zones look absolutely stunning on the Vita's OLED screen. It really has to be seen to be believed. The soundtrack suits the game beautifully, but is quite small so you'll be hearing the same tunes a lot. However, I never got bored of hearing The Prodigy as I sped past my opponents. Sound design in general is excellent, all of the weapons and ships have realistic effects. Each ship team has their own HUD voice which is a nice detail. In fact, the presentation as a whole is immaculate, particularly the campaign grids. Multiplayer is something I haven't spent much time on, but it is laid out in a similar manner to the single-player campaign. I think it is a great decision by the developers to turn what could have been a lobby menu into a whole additional campaign grid. One element that does suffer though, is Combat events. I played an event online and no one was actually moving forward, they were staying in one place waiting for people to come near them. I found it boring and it ruined the game. All other events were marvelous though. One special mention must be made of the photo mode. At any point you can pause the game and take photos. This mode lets you move the camera around, add blur and change the depth of field as well. It can result in some beautiful images. Every screenshot in this review was taken by me. They are all saved onto the Vita and easily sent to the computer via USB. I think it's a great feature for the system. Overall, SCE Studio Liverpool have delivered another great game that utilizes its host hardware beautifully. As the studio's final release and potentially the final WipEout, perhaps it is apt for it to end where it all began. However, I think that WipEout HD should be considered the definitive version of the series. Luckily, just before SCE Studio Liverpool closed, they released DLC that added the whole of WipEout HD and Fury onto 2048. It is a free download if you have already purchased it on PS3. Now that is how you go out in style.